Happy Christmas to those who celebrate it from the Boys! Merry Christmas to you sisieq, and a happy New Year. Don;t want to cross a line, but your name is there a story ? lucy wrote: Don;t want to cross a line, but your name is there a story ? 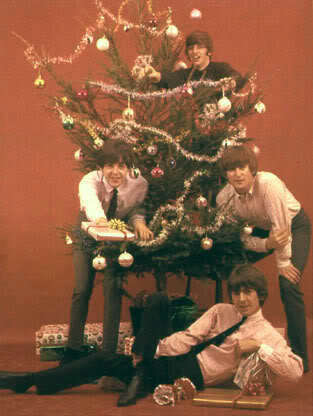 I wouldn't mind Paul under my tree!! Of course, I'd prefer George! Well if I HAD my choice of Georgies...I'd take the English one myself! Really miss him! Merry Christmas to everyone and a very Happy New Year! We've had thick frost for the last couple of weeks but the snow has just started...it looks lovely just a pain trying to get to the shops and work!! Merlin wrote: ...it looks lovely just a pain trying to get to the shops and work!! That's always the down side. Happy Holidays and a prosperous year 2011 to everyone. Merry Christmas from the Brooklyn branch of the Clooneyverse! Merry Christmas, and a Happy New Year to all the posters, and the lurkers. As a long time lurker(4 years) don't be shy, there is nothing to fear here, come on in and join us for the New Year it will be fun!!!!! lucy wrote: , come on in and join us for the New Year it will be fun!!!!! What do you know that we don't! We say that alot at work when maybe a few people happen to wear the same color, or different shades of the same color and one or two don't. They complain and say "I didn't get the memo". Sure helps the office stay "light" instead of being so uptight all the time!!! sisieq, that lurkers fear writing. Jump on in lurkers...the water's fine...trust me!! Ditto what Maven said! We'd love to hear your opinions and share in our banter!